360° feedback is feedback that comes from the combined perspective of direct reports, peers and managers as well as the leader self-assessment. In some cases it can also include feedback from external sources, such as customers and vendors. The raters comment about the leader’s communication, team work, and leadership and management skills. Successful 360s are not used for performance review or appraisal–performance reviews are about the job an employee is doing. The purpose of the 360° feedback should be to encourage and support the development of excellent leadership within the organization. The 360° review from combined perspectives helps to provide a clear picture for the employee about their behavior, impact and interpersonal relationships. They are an effective tool to hone professional skills and focus on developing leaders by giving them insights into how others see them. This entry was posted in DiSC 363 for Leaders, Leadership, Leadership Development and tagged DiSC 360 Profile, DiSC Leadership Profile, Everything DiSC 363, Everything DiSC 363 for Leaders on 11/25/2013 by Steve Giles. Once the Key Project Team Roles have been identified it is now time to go to Phase II of the process: Five Phases of Implementation. Take a moment to review the Five Phases of the Everything DiSC 363 for Leaders Implementation Process. This entry was posted in DiSC 363 for Leaders, Leadership, Leadership Development and tagged DiSC 360 Profile, DiSC Leadership, DiSC Leadership Development, Everything DiSC 363 for Leaders on 10/11/2010 by Steve Giles. While every organization has a different process for initiating and delivering a 360-feedback program, our work-flow materials assume that the formal process for using Everything DiSC 363 for Leaders within your organization has been approved, and you’re ready to take the steps necessary for a successful implementation. First, take a moment to review the Key Project Team Roles of the Everything DiSC 363 for Leaders Implementation Process. Executive Sponsor has the authority to implement and champion Everything DiSC 363 for Leaders within the organization. Program Manager is responsible for the day-to-day execution of Everything DiSC 363 for Leaders. The Program Manager works with participants and the project team to ensure that all parties have the information and resources they need. EPIC Administrator is responsible for the EPIC Account (to most efficient way to issue 363s and have FREE unlimited raters) process from start to finish. Coach provides leaders with their 363 feedback, answers their questions, helps them create action plans, and follows up to ensure that learning takes place. We recommend that trained coaches, either internal or external, be used unless managers have been trained in the coaching process. This entry was posted in DiSC 363 for Leaders, Leadership, Leadership Development and tagged DiSC 360 Profile, DiSC Leadership, DiSC Leadership Development, Everything DiSC 363 for Leaders on 10/06/2010 by Steve Giles. 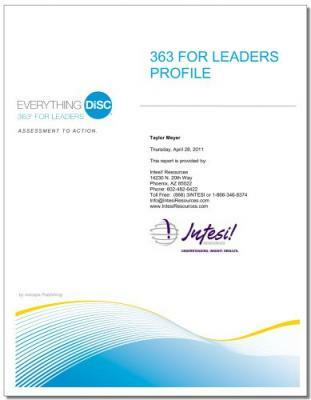 An Everything DiSC 363 for Leaders Profile is unique from our other products because it uses assessment results from many respondents to produce a 360-feedback profile for one individual – a Leader. 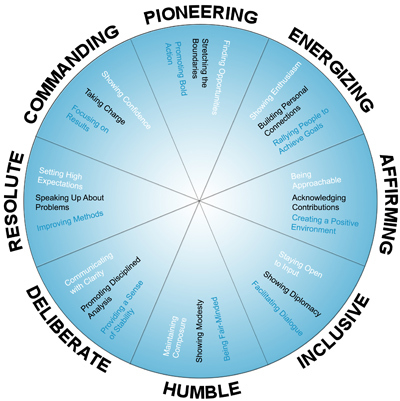 In addition to feedback on current leadership behavior, the profile also provides the leader with three personalized strategies for improving leadership effectiveness. The Leader is given an online assessment which takes 20-30 minutes to complete. a 72-item Leadership Behavior section – about how he or she as a leader tends to lead. This entry was posted in DiSC 363 for Leaders, Leadership, Leadership Development and tagged DiSC 360 Profile, DiSC Leadership, DiSC Leadership Development, Everything DiSC 363 for Leaders on 10/04/2010 by Steve Giles.